Celebrate Chinese New Year at Broadway Casino We’re delighted to announce that we’ll once again be celebrating the Chinese New Year in style here at Broadway Casino! What better way to shake off those Christmas blues than to join us on Sunday 22nd January through to Monday 23rd January to celebrate The Year of the Dragon with a traditional dragon dance and complimentary Oriental buffet. We’ll be kick starting the festivities late on Sunday 22nd with our sumptuous buffet being served from 12.30am on Monday 23rd January, The Chinese New Year. If you would like more information on attending our Chinese New Year celebrations, contact a member of the team on 0121 456 5557 . We look forward to seeing you on the night! 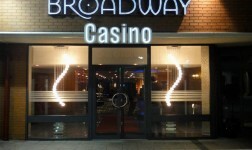 via Broadway Casino – Celebrate Chinese New Year at Broadway Casino.